Discussion in 'News' started by CluelessKlutz, Feb 4, 2018. Judged by our very own @Fuzzlr, @0zblox, and @xAlexbearx, the creative compeition was an exciting event with close to thirty entries! When the judging was complete, @CluelessKlutz and @DarkKnight49x tied for first, @onceuponajano got second, and @EllieEllie got third. Congratulations to everyone who entered! A new guide for players in the form of a written book will contain basic commands and tips! Forever alone, it may seem, but not for long! Chorus fruit will be joining the other crops at /warp farming. Spawners for skyblock make their return to the server shop! View the current status of the server from the website with this suggestion. The return of KitPvP is underway, using new balancing techniques described in this suggestion! With the upcoming update to nations, assistants will be given the ability to use /n say. New players will automatically start with a set of items! 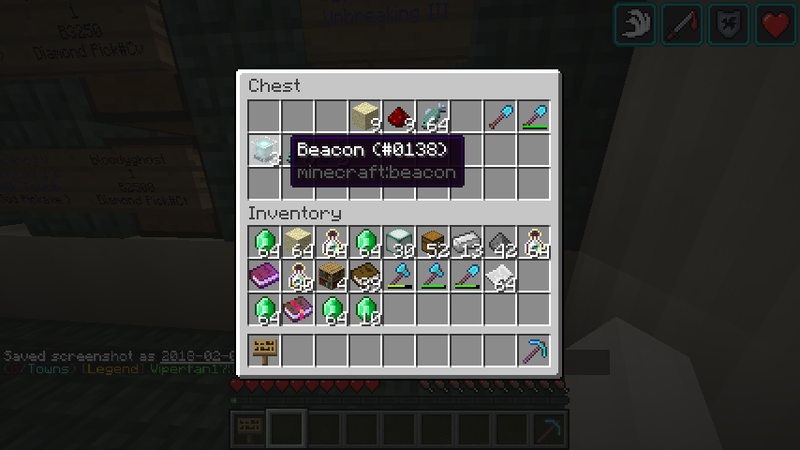 Uses for the parkour diamonds will be implemented. Have you ever wanted to watch someone else do parkour? With this, you would be able to spectate other players’ runs through the courses. Making their return, gadgets offer EULA compliant perks for players that offer no advantage. Advertise your shop or island by renting holograms in the Skyblock spawn with this suggestion! Death messages will be displayed in spawn once again, PvP on! There had been many glitches discovered in MeepCraft’s full time period. Hopper glitches, /hat glitches and the infamous /pack glitch. @FamousZAmos had taken intrigue to these glitches, but was wary of the outcomes of using them — he remembered Khafra, VKL, AwesomeAdoGamer — all of them caught for bug abusing. And staff all caught them the same way — tip offs. With that, Zamos warped back to his base, where he continued to craft his map. A few hours later, Zamos received a strange PM from a previously-unknown username. hapyhapy154. “Dude, I found a bug. You won’t believe it. Tpa.” Zamos was confused and skeptical, as a quick /seen command found this player to be in Wild. Zamos paused to think. Was he really going to kill him? He wasn’t going to take any chances. Emptying his inventory into his /chest, he accepted the tpa. Hapy appeared from the void, along with a vast plains biome in the middle of wild. A chest was situated near him, which Zamos felt a strange urge to open. He started towards it, when a sharp “NO!” appeared in local chat. He turned to face Hapy – an angered expression on his face. Zamos frowned, and pressed F3. Of course. Supply drop. How could he have been so stupid? 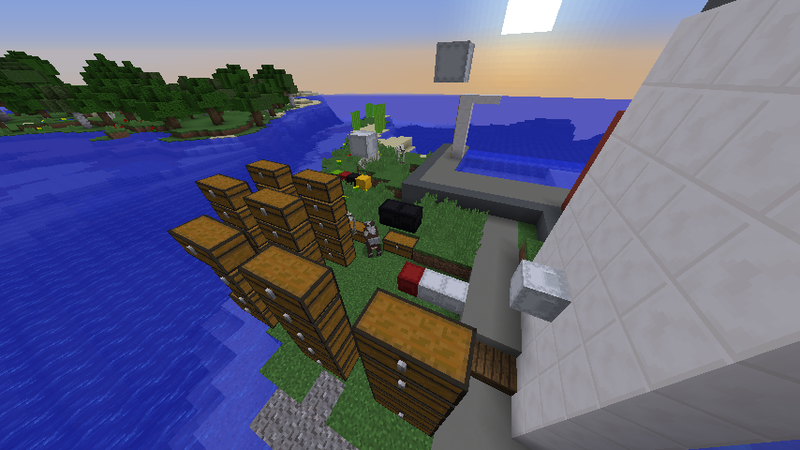 Standing on a platform at the build limit, Zamos saw an orange speck in the distance down below. “Are you sure this is how it works?” he asked, very concerned, for if Hapy was lying, he could die and potentially drop his head. There were none of his head in circulation, and he certainly wasn’t about to add to the economy. He took a deep breath, and jumped. The air felt like it was coming out of a jet engine around him. He fell, speeding towards the ground at supersonic speeds. He lined himself up with the chest, and checked F3 – 150 blocks. 120 blocks. 100 blocks. 70 blocks. He braced, hit the Escape button and clicked on “Disconnect” just as he was about to hit the chest. The multiplayer screen never looked so comforting. One server lit up the menu – MeepCraft. 100k up, 250k up, 500k up. Zamos was getting more money than he had thought he had get through this bug he had found from a mere citizen. Hapy had gone offline hours ago, but Zamos had continued to get the supply drop through the glitch, wherever it had popped up. Falling through the air for the n’th time, he smiled, and relogged. Quickly opening the chest, he emptied it, and came back to the biome with a new notification in global: FamousZAmos found the supply drop in Wild! He frowned. That wasn’t supposed to happen. A message came through, from Bloody – “Hey, could I have some of the loot? I gave you the sugar cane before.” Quickly hiding the spare ores in his /chest, he accepted the tpa that had come through. Bloody took a few steps, and sighed. “Nice find, man, this isn’t a easy loca… What’s that?” pointing to the tower Zamos had hastily built to complete the glitch. Bloody hesitated. No, Zamos thought. There’s no way he’s going to turn me in. He’s my best mate. No way. “I know. You should,” Zamos admitting defeat. “Our secret, then, aye?” Bloody chuckled. It was about two years ago. When I was searching for a English server to upgrade my knowledge. But it was much… much! More interesting that I expected and I played it nearly every day. And I remembered about Meepcraft 2 months ago. If you were to pick a favorite season, what would it be, and why? What is your favorite memory on the server? My favorite memory was when I made a box house with banners and colored windows. I was so proud when I was looking at it so I called nearly everyone to see what I made! And it was very helpful because it allows you not to be shy and make more friends! You’re hosting the Medieval Building Contest. What lead you to pick that building style? Before it I was making modern houses, but then I realized that medieval houses can get much more decorations. And I was very interested to see what can other people make and compare it to my build. If you could be any Star Wars character, who would it be? It would be luke skywalker because he saved the planet! And he is a funny guy. I wish everyone best of luck in the competition! Congratulations to @bloodyghost and @KyloMeep on their acceptance to the staff team, and @MasterofBoom and @onceuponajano on being promoted to moderator! The next issue of The MeepTimes will be released February 16, 2018! See you then! _Peero_, riri30, onceuponajano and 5 others like this. +2 to the builders.... Whos being interviewed next tho? Once again, congratulations to all winners of the 2018 Building Contest! EllieEllie and SuperDyl like this. Seriously though, people have been busy with suggestions. Bloody’s idea of a base was not to be – chests scattered all around, dirt blocks in here, beacons in there. OKNEM and SuperDyl like this. I’m so proud of you clue for pretty much being the only one who ever does these. Not sure who else is on the team with you but the MeepTimes would be nothing without you. riri30, onceuponajano, KyloMeep and 5 others like this. If they were twice a week they wouldn’t be special, because not a lot happens every few days. Never knew no one worked on them, that’s sad, I would help :/. riri30, Courtneyyy and SuperDyl like this. iKitten, cooey, SuperDyl and 4 others like this. Erh, better start saving up my skybucks. Awesome edition, guys, great job. Can’t wait for the next one! iKitten, onceuponajano and SuperDyl like this. iKitten and EllieEllie like this. Shoot, I think I just missed the contest. Can anyone tell me when the next one is? I'm not the best builder but I would love to participate. You just have to keep an eye our for new forums posts.